The miniature marshmallow must be placed at the top of the tower. The tower must be free standing (without aid from the students). Full materials list and directions can be printed here.... Challenge Rules Marshmallow/Toothpick Tower Challenge Examples of Hexagon-Based Towers and Structures 1. NO EATING THE MARSHMALLOWS! (failure to follow this rule will result in immediate disqualification from challenge) 2. All team members must work on the project together! 3. Pirate Challenge 3: Create a Marshmallow Tower #mlap14 THE CHALLENGE . How can your team of buccaneers . create a tower out of tooth picks and marshmallows? 1. 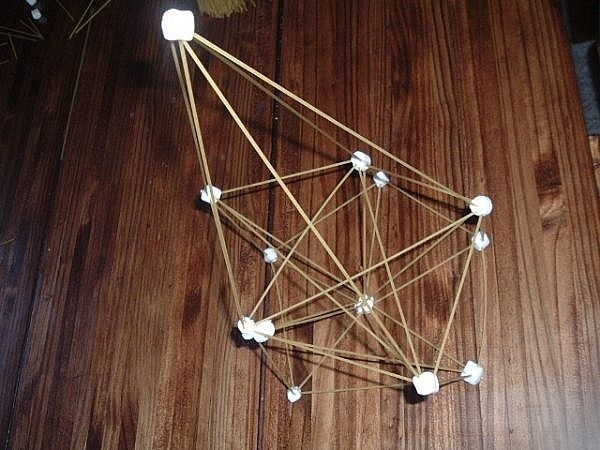 Create a free standing tower out of 30 tooth picks and 30 mini marshmallows. 2. Tower must be able to stand on its own. 3. Using the hand length of the smallest bucaneer in your team. How many hands high is your tower…... Each group needs to construct a tower that will support one large marshmallow at the top. The group that builds the highest free-standing tower wins the competition. The group that builds the highest free-standing tower wins the competition. Activity. Marshmallow Tower. Objective: To encourage innovation, creativity, teamwork and strategy in kids. Description: Work as individuals or in teams to create the tallest, free-standing, structure you can using mini marshmallows and tooth picks. Steps: 1. Get a bag or two of mini marshmallows and a couple packages of tooth picks. You will also need a meter stick or a ruler to measure the how to build a landing page with beaver builder Push the ends of the spaghetti into the marshmallows to build different shapes for your tower. maybe a party game of who can build the tallest structure." "Science for kids - fun with structures. See how tall you can build your structure, how to make it stand, etc. The task is to create the tallest tower using only the supplies given. Great for DT, designing, creating, team building etc factorio how to build railway corners Marshmallow all the materials to build a tower and instructions on how the challenge works. moved out of the way, and spaghetti, tape, string, and marshmallows were brought out. 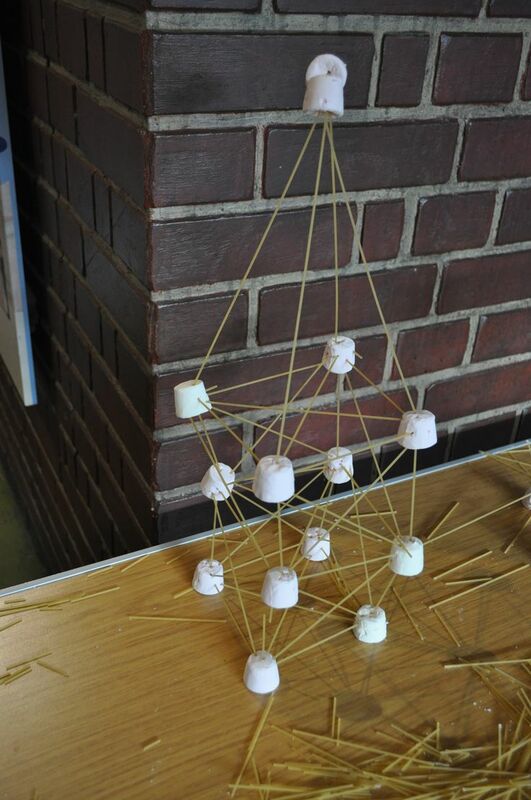 The Marshmallow Challenge is a team-building exercise where groups of 2-3 have 18 minutes to try to build the tallest freestanding structure – using just 20 sticks of spaghetti, one yard of masking tape, one yard of string, and a marshmallow. And all kinds of learning happens in the process! This would make a great team-building activity for the beginning of the school year, too!